The driver lost control of her car, FHP troopers said. Alcohol was not involved. 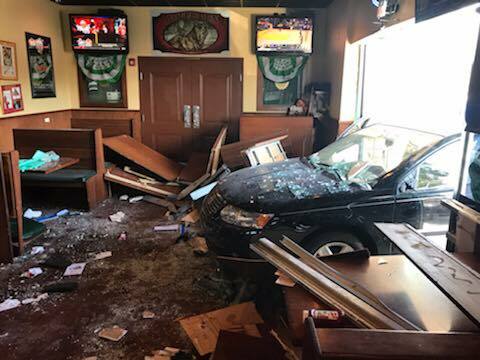 SPRING HILL – Five diners at Beef ‘O’ Bradys in Spring Hill were seriously injured Tuesday (Feb. 5) when a car crashed into the restaurant, the Florida Highway Patrol said. The driver, Barbara Markowski, 65, of Spring Hill, was cited for improper/unsafe equipment after FHP troopers determined the brakes on her car were malfunctioning. Markowsk was taken to Oak Hill Hospital in serious condition after the crash. The five diners were also taken to area hospitals in serious condition. One was flown by Bayflite as a trauma alert, according to Hernando County Fire Rescue. The five are Kristine Boggs, 65, of Inverness; Stephen Greco, 84, of Spring Hill; john Bost, 86, of Brooksville; Jovite Palardis, 70, of Homosassa; and Nancy Nelson, 68, of Rock Falls, IL. The crash happened about 1:40 p.m. at 14387 Spring Hill Drive in Spring Hill. Troopers said Markowski was driving a 2007 Saturn Ion east on Spring Hill Drive when she lost control of the car. The Saturn traveled over the center median, across the westbound lanes of Spring Hill Drive, left the road, traveled onto the shoulder, across a flower bed and sideswiped a 1999 Ford F150 that was leaving the parking lot. Neither the Ford’s driver nor his passengers were injured. The Saturn continued through the parking lot where it hit a 2015 Hyundai Elantra, which was parked with no one in it. 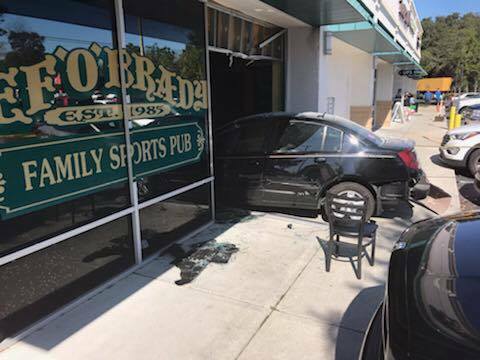 The Saturn kept going until it hit the Beef ‘O’ Brady’s, crashed through the front of the restaurant and hit the five diners. Troopers said they are still investigating why Markowski lost control of the Saturn. Alcohol is not suspected in the crash. Charges are pending. Main photo and video are courtesy of the Florida Highway Patrol. 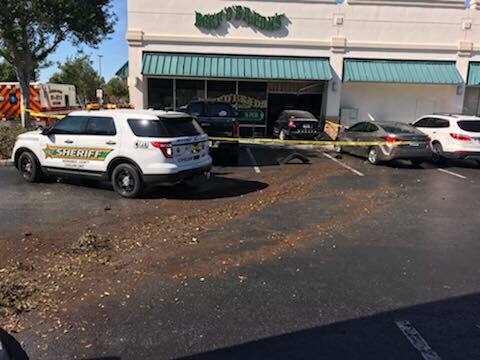 Photos inside story are courtesy of Hernando County Fire Rescue.